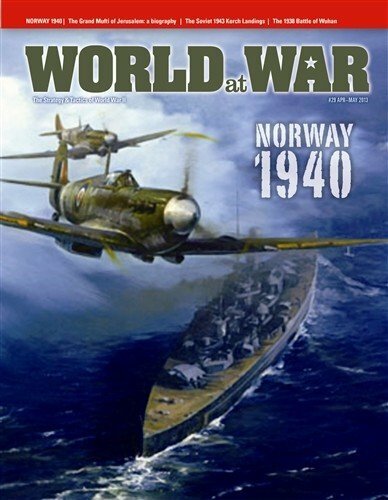 Magazyn WatW plus gra Norway 1940. 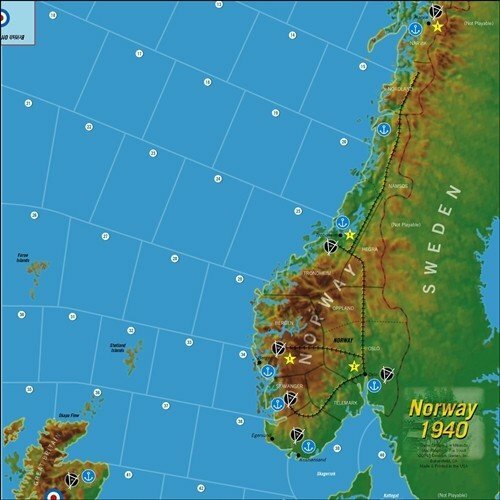 Norway, 1940 is an operational level wargame of the German campaign to conquer Norway. The operation was a combined naval-air-land campaign in which all elements of military power were utilized. The historic campaign saw a German victory, but at the cost of much of the Kreigsmarine. Norway, 1940’s system is based on S&T’s award winning Red Dragon Rising system. It has been crafted to present the campaign as a unitary vision rather than a strictly sequenced process. The action can alternately telescope or expand, representing periods of rapid activity alternating with the slower process of building up forces. Most ground units represent either brigades or regiments. Aircraft units represent Luftwaffe “gruppen“ or groups of three Allied squadrons (36-60 aircraft). Ship units mostly represent one fleet aircraft carrier, divisions of two battleships, or four cruisers, squadrons/flotillas of about six to 12 destroyers, or various numbers of other ship types. Each game turn represents one half-week.